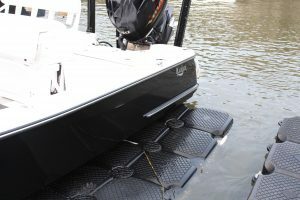 When speaking individuals in the marine industry, we encounter similar questions about the Glidecoat product line. As such, we have compiled answers to 9 commonly asked questions. We hope this information is helpful to provide more in-depth knowledge of how, why and when to apply Glidecoat. If you are interested to learn more about becoming an Authorized Dealer of Glidecoat, click here. Q: Do I need to remove oxidation before applying Glidecoat Liquid Crystal? A: Yes. Surface preparation is an important step prior to applying Glidecoat. Remove oxidation with a dual action or rotary buffer and Glidecoat Nano Compound. Our compound provides the abrasion necessary to remove oxidation from the surface. If your boat has heavy oxidization, this compound step may need to be repeated. Once the oxidization has been removed, use a dual action or rotary buffer with Glidecoat Polish to enhance the surfaces shine. When you have completed these steps, use Glidecoat Surface Wipe to remove any compound or polish residue, while also decontaminating the surface. Now you are ready to apply Glidecoat Liquid Crystal. Click here to see video of the Top Coating Application Process. Q: What is the difference of applying Glidecoat Liquid Crystal compared to a standard buff and wax? A: Glidecoat Liquid Crystal is designed to fill in the pours of gel coat or paint, bonding with the surface to create a hard barrier. Glidecoat Liquid Crystal enhances the gloss of the surface, while also providing protection 4 to 5 times longer than wax. On the other hand, when a wax is applied, it simply sits on top of the surface, which only provides short term protection. 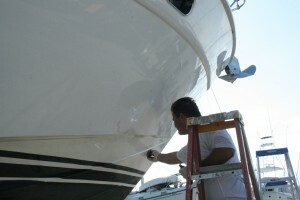 After wax is applied, each time the boat is washed, the wax begins to deteriorate and come off the surface. Q: How can I tell Glidecoat Liquid Crystal is properly applied? A: Once Glidecoat Liquid Crystal is applied, there will be a noticeable difference in the shine of the surface. After application the surface should appear to be uniform and feel smooth to touch. If certain areas are not as shiny, apply an addition coat to ensure the surface is uniform. After the coating has cured (4-6 hours), a great way to test the surface is to spray the hull with water. If the product has been applied properly, the water will bead up on the surface. For best results, we recommend applying a minimum of two coats. Q: The best conditions to apply Glidecoat Liquid Crystal? A: For best results we recommend applying Glidecoat Liquid Crystal in temperatures ranging from 60˚F – 85˚F. This temperature range allows for the easiest application. If you are working in direct sunlight with temperatures exceeding 85˚F, apply the coating in small 2 foot sections at a time. The hotter the surface, the quicker Glidecoat Liquid Crystal cures. To ensure the surface is uniform, you must buff the coated area with a microfiber towel immediately after applying the coating. Do not applying Glidecoat Liquid Crystal in the rain, as it will decrease the effectiveness of the product. Q: What is the process for reapplication? A: Unlike other nano coating products, Glidecoat Liquid Crystal does not need to be removed before reapplication. 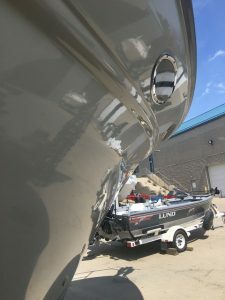 When reapplying Glidecoat Liquid Crystal you will follow these steps: wash boat with Glidecoat Nano Wash, use dual action buffer or rotary buffer to apply Glidecoat Nano Polish, decontaminate surface with Glidecoat Surface Wipe, reapply Glidecoat Liquid Crystal. In most cases, Glidecoat Nano Compound is not required in reapplication of the Liquid Crystal because the surface will not be heavily oxidized. 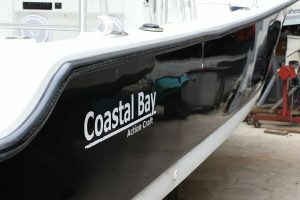 Q: How can I tell the boat is ready to be reapplied with Glidecoat Liquid Crystal? A: You can tell the boat is ready to be reapplied with Glidecoat Liquid Crystal based on how the water reacts on the surface. Once the water does not bead up on the surface, it is time to reapply. Also, if the hull begins to lose the gloss and shine, this is an indication that Glidecoat Liquid Crystal needs to be reapplied. Q: What separates Glidecoat Liquid Crystal from other nano coating products in the market? A: Glidecoat Liquid Crystal has been specifically designed for the marine industry, developed to withstand the harsh marine environment. Many other nano coatings were originally developed for the automotive industry, then taking the same product and selling it in the marine industry. These products do not adhere as well to gel coat or marine paint as well as Glidecoat Liquid Crystal. Unlike other nano coatings, Glidecoat Liquid Crystal does not need to be removed before reapplication, you can layer our product which provides even more protection. Glidecoat Liquid Crystal is a very versatile product. 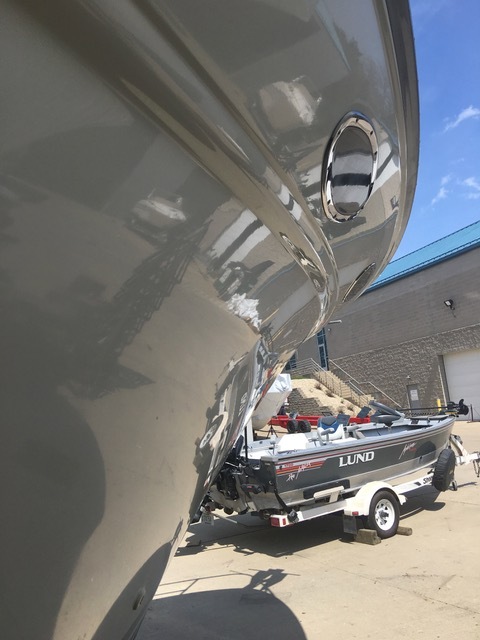 It can be applied to new boats to enhance gloss and shine of the factory finish, restore the shine of faded hulls, or even be applied on stainless steel or aluminum surfaces. In comparison to other nano coatings on the market, Glidecoat Liquid Crystal is less expensive because it is manufactured in America. Q: Recommended maintenance plan for the boat after applying the Glidecoat Liquid Crystal? A: Glidecoat Liquid Crystal greatly reduces the time and effort required to maintain your boat. Rinse your boat after each use, this will remove any salt water or scum build up. We recommend washing the boat with Glidecoat Nano Wash and a soft bristled brush every month, easily removing surface stains. To increase the life of Glidecoat Liquid Crystal, we recommend the use of Glidecoat UV Surface Shield every 6-8 months to further enhance the gloss. Q: How long does Glidecoat Liquid Crystal last? A: After extensive laboratory and field testing, Glidecoat Liquid Crystal provides protection for up to 18-24 months, with only 10% reduction in gloss. With the use of Glidecoat UV Surface Shield every 6-8 months, you can increase the life span of Glidecoat Liquid Crystal. Considering the importance of demonstrating the value of using our products, we actively communicate client case studies on the results by using Glidecoat.